23 selections from The Cat Outside will be presented in a group show, 'The Biological Auteur', at Etiquette (2889 Trades W Rd SF NM) on Friday, January 12, 6pm. Curated by Drew Lenihan. 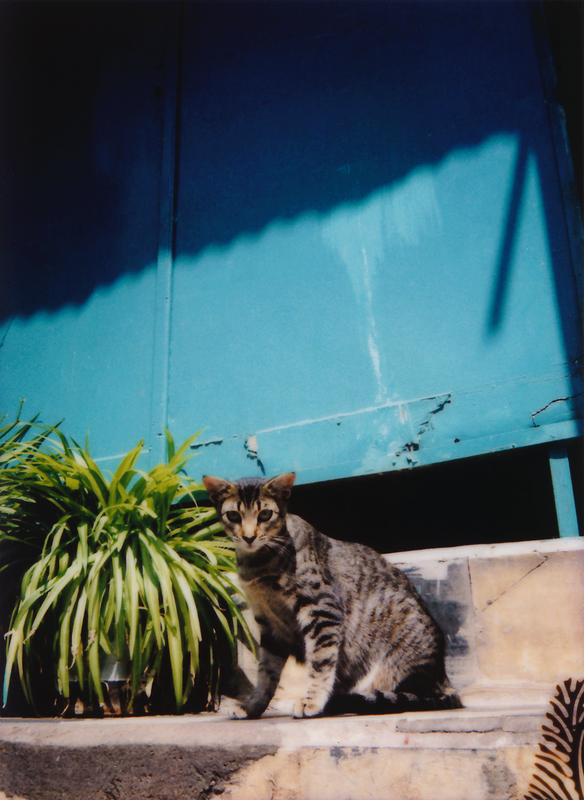 The Cat Outside features the strays of Tangier, Morocco as free agents operating as psychic urban Familiars—conceptually based on the musings of William S. Burroughs, who lived and wrote in the North African city. Tangier—Interzone—was once a hotbed of espionage and served as a destination for eccentric ex-pats, artists, and beat-generation writers to exist autonomously. The cats featured in the series occupy the old haunts of such figures; from former living quarters to bars, markets, and cemeteries. The 23 selections cross three photographic mediums - Holga 120mm, Fuji Instaxmini, & an iPhone 5s. I give sincere and personal thanks to Nakata, La Lucciola, Red Cell, and CaprilePhoto Madrid for making this project possible.